I composed Our Father, Lord and Shepherd in memory of Jennifer Monique Tinker, 1994-2009. Jennifer was a home-bound student due to a very rare genetic disease, the complications of which prevented her from attending an institutional school. My wife was Jennifer’s teacher in her last year of life. Jennifer was a lovely child, full of the light of God and the joy of her creation. She touched very many lives, including mine, because though I never met her in person, I felt I knew her from my wife’s many descriptions of her and their time together. Rather than set only “The Lord’s Prayer,” I chose to include some parallel verses from Psalms 8 and 23. These verses flesh out some of the meaning of the prayer, providing depth and context for Jesus’ original words. We praise God in our times of doubt, trial, and loss, as well as in times of victory and triumph; the mood of the music reflects both. 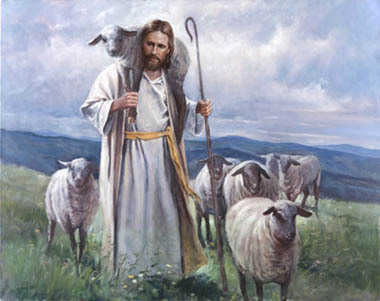 Our Father, Lord and Shepherd is about 7 minutes in length. You can see about the first half of the piece here. If you don’t see the music open in your browser (if it doesn’t automatically open pdfs), you may need to control-click the link and download it. I’m hoping to be able to post a recording soon. If you’re interested in the piece, let me know.